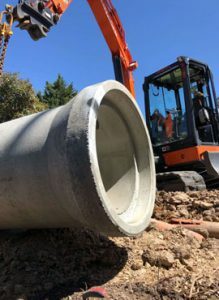 Lateral Plumbing Solutions can assist with pipeline constructions in Melbourne for the private sector and local and state governments. Our services include trenching, pipe laying and pipeline directional drilling, as well as testing in relation to steel pipes, stormwater drainage, rising mains, pump stations and more. Our experienced contractors have carried out numerous pipeline constructions across a variety of locations and terrains, applying exemplary safety and environmental procedures for optimal results. Our water pipeline construction services are compliant with Australian Standard AS/NZS3500.2.2015. We also ensure all staff receive regular training and participate in performance monitoring programs to ensure they remain at the cutting-edge of their field. 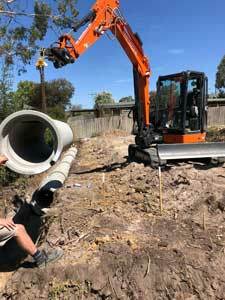 There are a number of reasons why you should choose Lateral Plumbing Solutions for pipeline directional drilling and construction in Melbourne. We’ve developed a reputation for our exceptional workmanship and high attention to detail, meaning we can get the job done in a way that exceeds expectations. We also pride ourselves on our excellent customer service, which involves working closely with clients to ensure their needs are clearly understood and accommodated. If you’d like to learn more or request a water pipeline construction cost estimate, contact Lateral Plumbing Solutions today.